The Southeastern portion of the United States is known for many things besides its stretches of sandy costal beaches with frolicking kids and its mild, humid climate. It is known for its welcoming people and southern hospitality, the place where country music was born, fine cuisine, Latin influence, important shipping ports, swamps, and hurricanes just to name a few. It is home to Disney World, the most visited theme park in the world, as well as the Great Smokey Mountains National Park. Steeped in history, the first slaves to come to America were brought here, Native American tribes such as the Cherokee lived off the land, and it was part of events that ultimately shaped the country such as the American Revolution and the American Civil War. Below you will find lists of interesting facts about this region including what states it includes and where some of the points of interest are. On this page you will also find links to interesting information and facts about each state in the Southeast geographical region. Click here for a great selection of Amazon.com books about the Southeast. The twelve states that make up this Region are South Carolina, Virginia, West Virginia, North Carolina, Mississippi, Arkansas, Tennessee, Florida, Georgia, Alabama, Kentucky and Louisiana. Of the Southeast region states, Florida is the most populous with 19,552,860 (2013 U.S. Census Bureau) people and Jacksonville, Florida is the most populous city with 836,507 people (2012 U.S. Census Bureau). Being closer to the equator than the Northeast region, the climate in the Southeast tends to be very mild and humid with hot summers and short winters. Dixie is the nickname given to the Southeastern portion of the United States. Because many of the people in the southeast have values that are centered around religion and conservatism, much of the southeast region is informally known as the "Bible Belt". The southeast region is part of what is called the Sun Belt which stretches across the southern part of the U.S. and includes many types of climates from dessert to tropical. The southeast region is considered to be the humid subtropical portion. The Florida Everglades, a treasured National Park and a sanctuary for countless animal species, many endangered or threatened, is the largest subtropical wilderness area in all of North America. 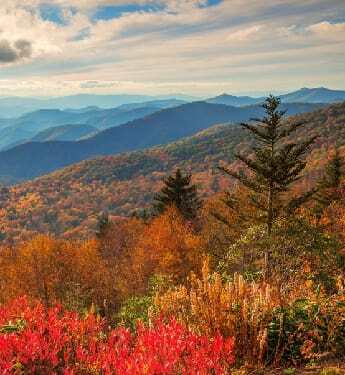 Mount Mitchell in North Carolina is part of the Appalachian Mountain range and at 6,684 feet (2,037 meters) has the distinction of being the highest point in the Southeastern United States. The Blue Ridge Mountains, part of the Appalachian Mountains, extend through numerous eastern states including the southeastern states of Virginia, North Carolina, South Carolina, and the northeast tip of Georgia. Known as the "The Gateway of the Americas", the port of Miami is the most popular cruise ship port in the world. For the last 140 years, the annual Kentucky Derby horse race has taken place in Louisville, Kentucky. The Southeast region of the United States is home to about 2 million wild boars, also called feral pigs. Two of the main natural resources in this region are pine trees and coal. The most well-known swamp areas in the country, including the Okefenokee Swamp, are located in the southeast; mostly in Florida and Georgia. Throughout US history crops were and still are an important income producer for this region. The mild weather and plentiful rainfall create optimal growing conditions for crops such as tobacco, cotton and peanuts. Scattered throughout the Southeast United States are numerous historic sites including famous battlefields like Fredericksburg, historic cemeteries such as Arlington National Cemetery and historic homes such as Monticello.